I’m not entirely sure what makes this design Japanese. Perhaps the clean lines and simplicity? 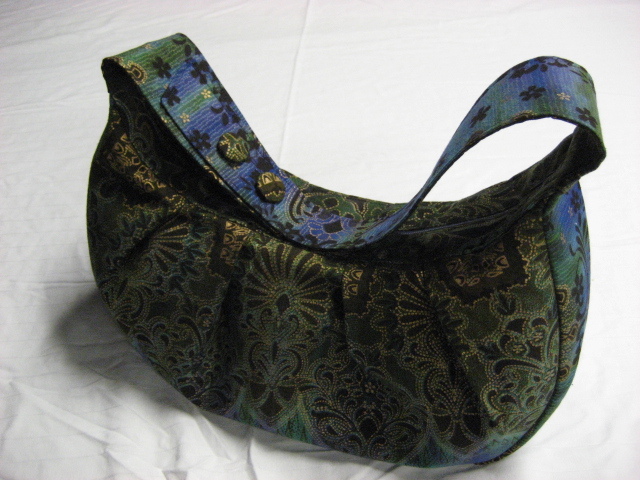 This particular bag (version two) was made as a gift with fabric form the stash that was originally used to make a very cute mid-sized purse, also a gift. I don’t think the photo quite does the fabric justice. It’s a fall colored batik, with a little bit of maroon, or possibly burgundy. I’ve lined it with a simple, small, floral done in maybe four shades of cream. 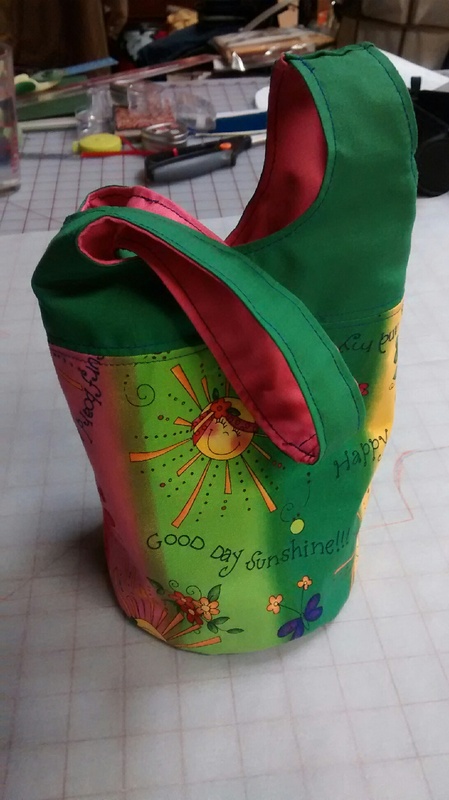 The bag is fairly small, but a great size for grabbing a few things to go, lunch, or a skein of yarn for a project. The longer strap can be hung on the wrist with the yarn end sticking out so the skein can be kept in check (and away from naughty felines) while you work. Here are a few more I’ve made recently. Here’s version one, which I decided I dislike making. Putting on the round bottoms is too fiddly. Hello! 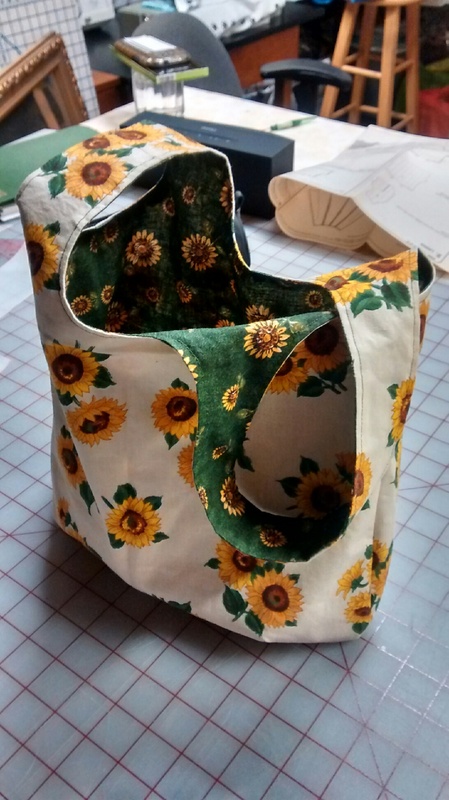 I’ve been absent from my own blog, but I have been sewing (though not costumes). 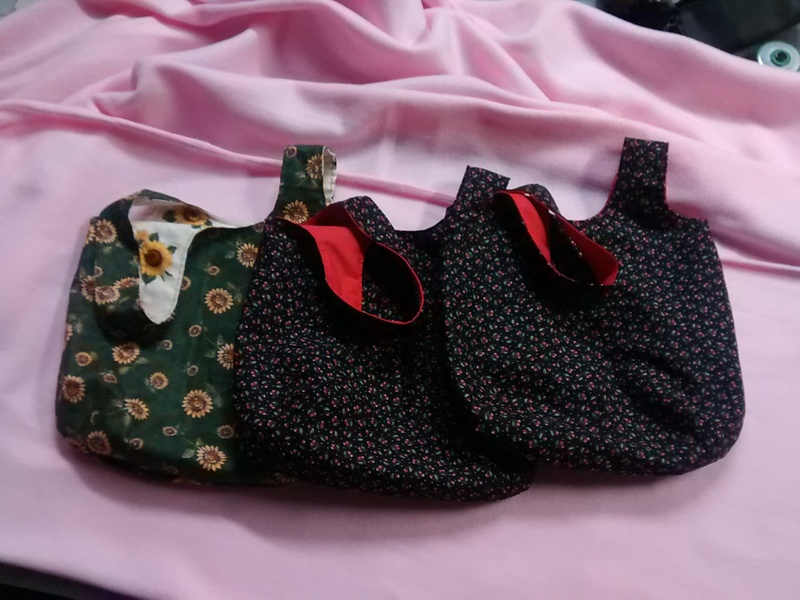 The holiday season saw me making purses. 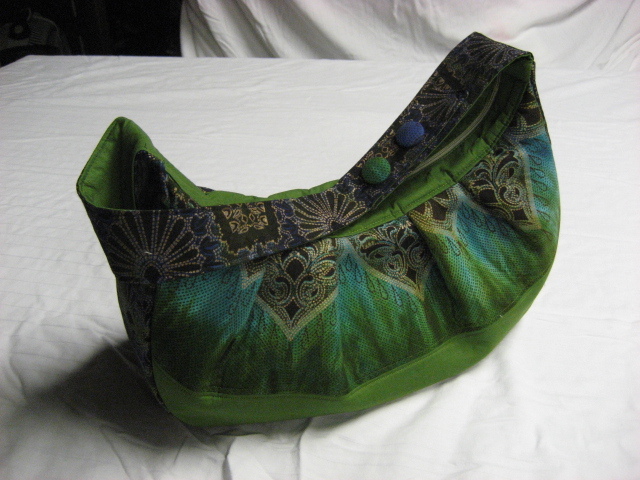 This was a second attempt at such a thing, the first being a very simple pattern in gorgeous fabric. 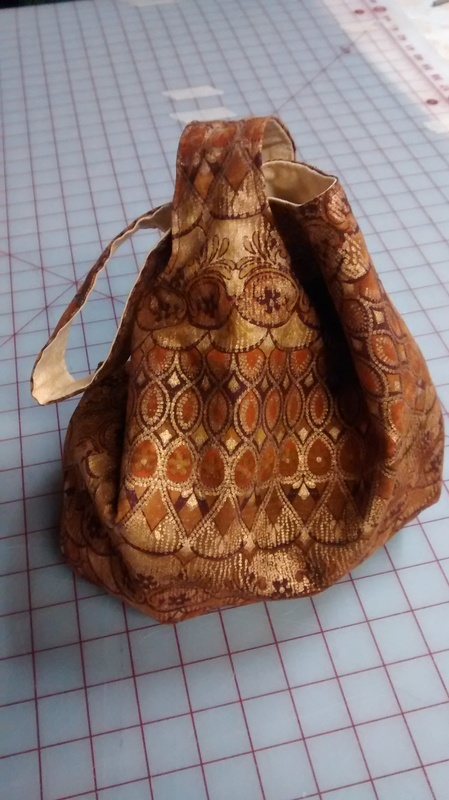 These Christmas purses were made in no less beautiful fabrics, but were a bit more complex. 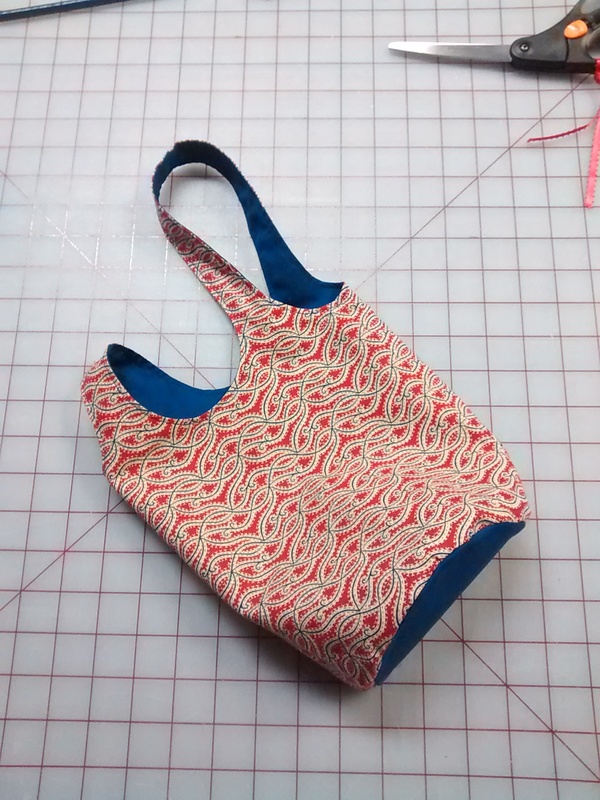 I’ve learned more about interfacing than I expected. As a historical costume sewer I don’t use modern interfacings very often. I’ve also been learning to crochet. It’s the new year, but I don’t like setting resolutions. My feeling is that, if you can’t manage to do something because you need or want to, the fact that it s a new year isn’t going to help you. But it is a great time to contemplate a new project list. I don’t have anything firm yet, except for a belated Christmas gift, two baby presents and a wedding. I do think this will be a good year to focus on steampunk, starting with a tentative plan to make spats for my new boots. The other thing I have on the schedule for this year is to participate in The 1912 Project. I’m pretty excited about it. 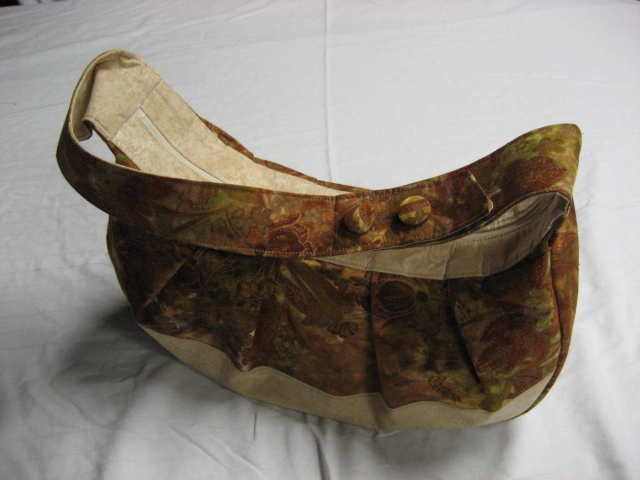 Vintage patterns tell us more than just how a garment could be made. They give you an idea of what people valued, what kind of time they put into such activities, what materials were available (and so, what kind of industries were going on). 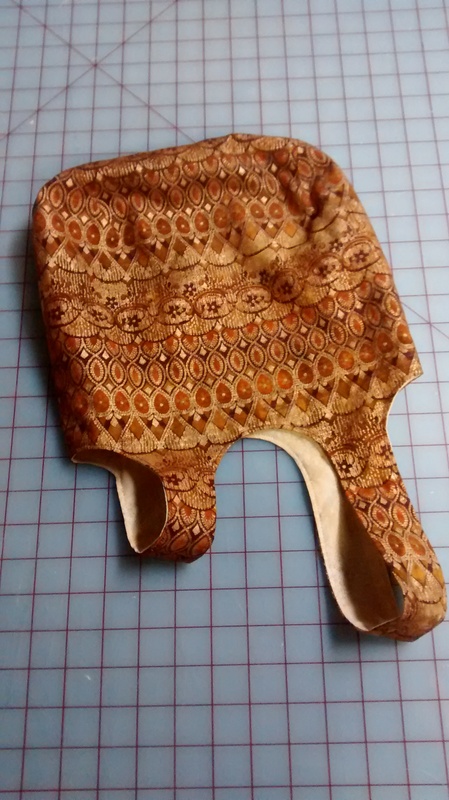 They make assumptions about sewing skills that we may not understand today. They give you little hints about how things were done by hand, individually, in a slower world. The Vintage Pattern Library is working on digitizing 1912 editions of La Mode Illustree, including making detailed full size patterns of the garments therein, in memory of the sinking of the Titanic in 1912. Last July my small town marked the 100 anniversary of its incorporation with some period festivities and that’s when I started to research and become interested in the period. I recently had the chance to watch all of the first season of Downton Abbey, which starts with the news that the Titanic had been sunk. I find the period and costumes fascinating. Things were changing between the classes, women were starting to have a voice, old ideas about clothing and medicine were relaxing. It was the dawn of our modern era. And the hats were awesome. 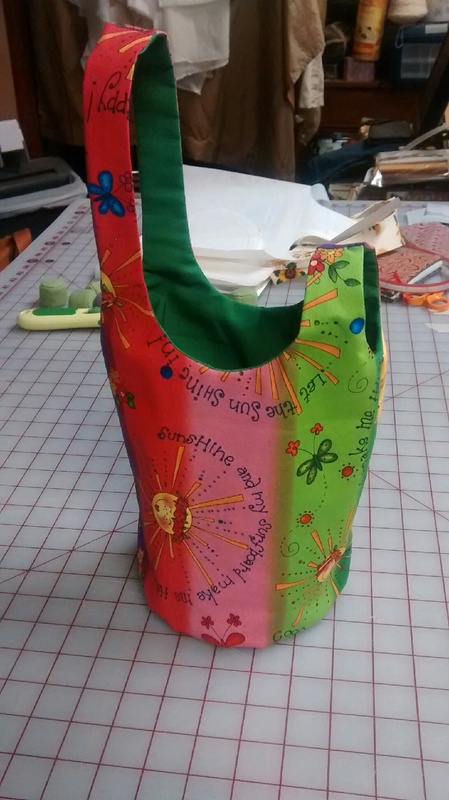 I will be making at least monthly updates on the patterns I am given to sew. It was someone’s bright idea to get married in Las Vegas in July. And then, to make it irresistible to the Rogues (as if we weren’t already excited), they made it themed – 40s/50s. The ensuing costume is an original design based on a 1937 Butterick dress, floral patterns of the era and a 1990s Vogue skirt pattern, both altered with some ad-libbing in the middle. 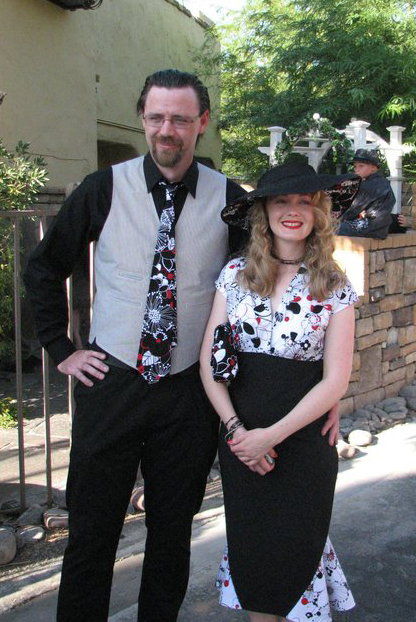 I ended up using a stretch pinstripe fabric for the body of the dress and a Kaufman fabric for the bodice and skirt flounce, with a coordinating fabric to line the inside of the large brimmed hat. I’m sorry I don’t have images of the original hat. It had a deeper crown and was completely floppy. I added wire to the brim, cut down the crown and pleated the lining fabric into it. I also made a coordinating clutch purse for me and a tie for my husband. Despite the heat, the wedding was awesome! And yes, it was Elvis themed. Note the Elvis glasses. I even found out how to make hair setting solution like they would have used at the time. It worked well, but didn’t hold up to the heat.